Project 2 for Scrappy Moms Stamps 5th Birthday Celebration! For today's prize of the day my secret word is - MOMS. 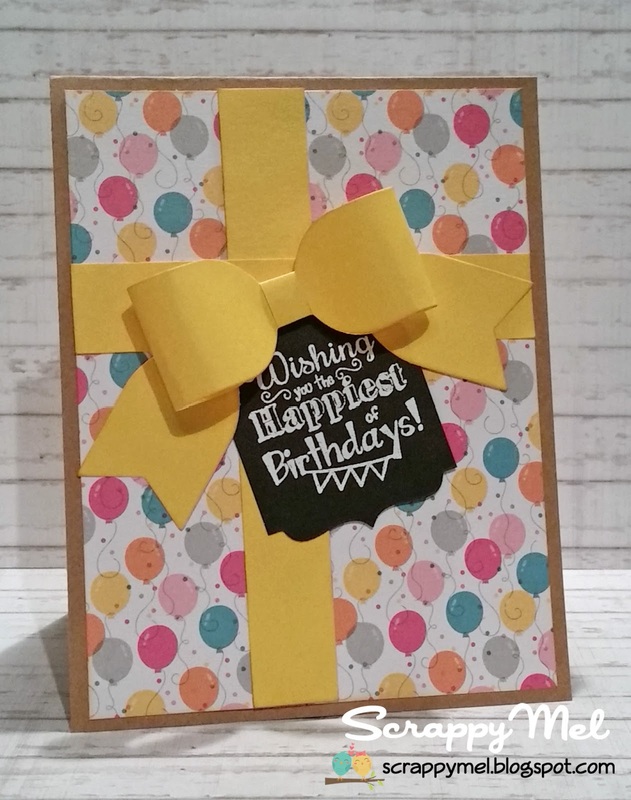 In order to be in the drawing for the prize of the day - a packet of Action Wobbles - you will need to visit the other spotlight DT member of the day, JoAnn from JoBoogie Stamps and get her secret word. 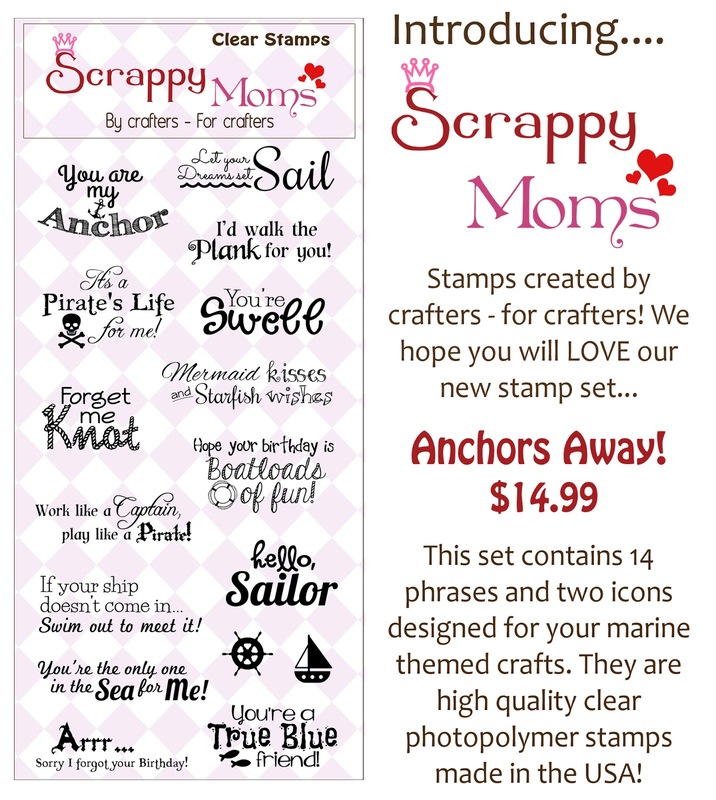 Then go back to the Scrappy Moms Stamps Blog and leave a comment with both secret words. Good luck! 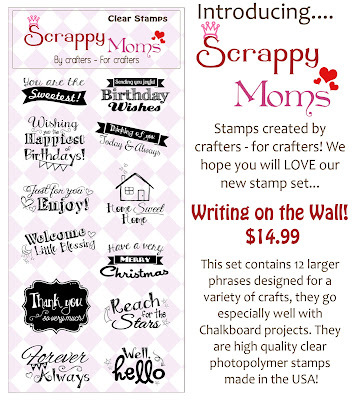 Scrappy Moms Stamps 5 Year Birthday Celebration and 2 New stamp Sets! Hi, everyone! 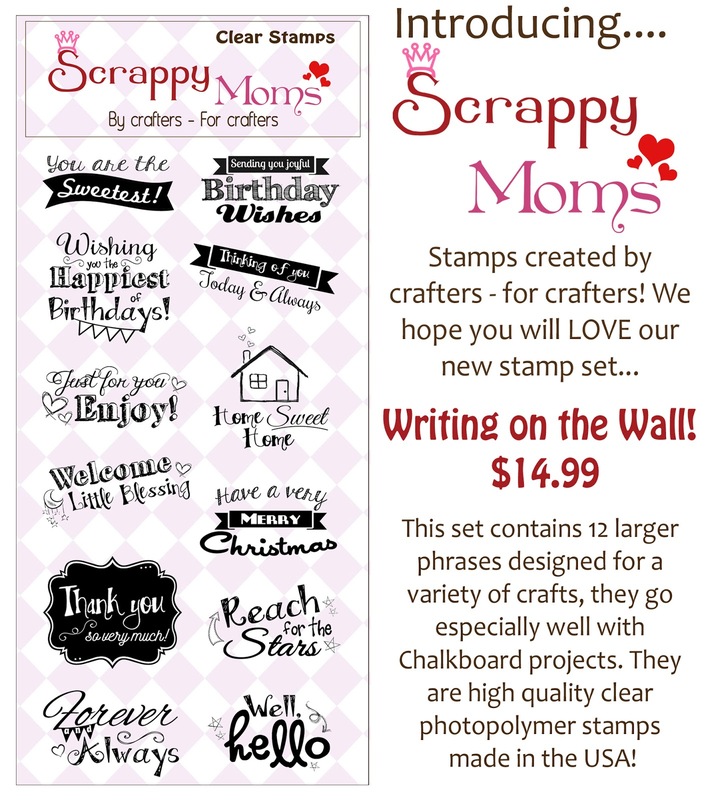 This month marks the 5 year birthday of Scrappy Moms Stamps so we are having a big celebration and sale! We are doing some great giveaways for their 5th Birthday! 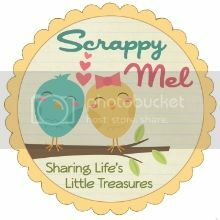 You will need to check the Scrappy Moms Stamps Blog each day starting tomorrow 6/20 through 6/26 to find out which Scrappy Moms Stamps DT members are posting the 2 secret words of the day. Visit both DT member's blogs get the secret words. Then, go back to the Scrappy Moms Stamps Blog and post a comment with the secret words for a chance to win the prize of the day. 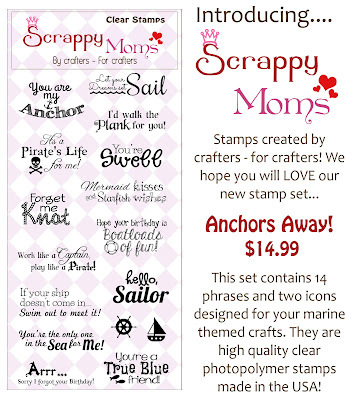 We are also having a Buy Three Get One Free sale starting today through - 6/28 - check out this Scrappy Moms Stamps blog post for instructions on how to take advantage of this offer. There will also be a gift with each purchase during the sale. Our fabulous DT, including June's Guest Designer - Lisa from Paper Street Cherry Treats, will have new projects all week using these two new sets. I hope you enjoyed my 1st project and that you will joining us for our 5 birthday celebration! 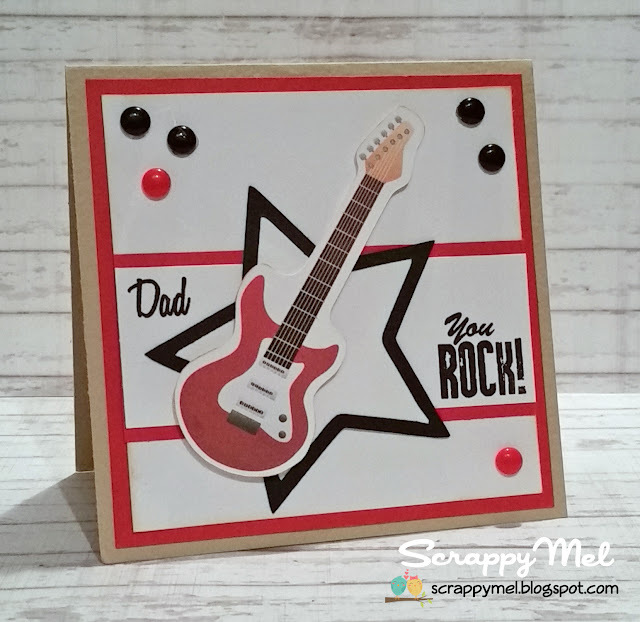 Terrific Tuesday Challenge - Dad Rocks! Thank you for stopping by to see my project for this week's Terrific Tuesday Challenge! I printed this cute guitar image and cut a shadow around it so I could pop-it up with pop dots. 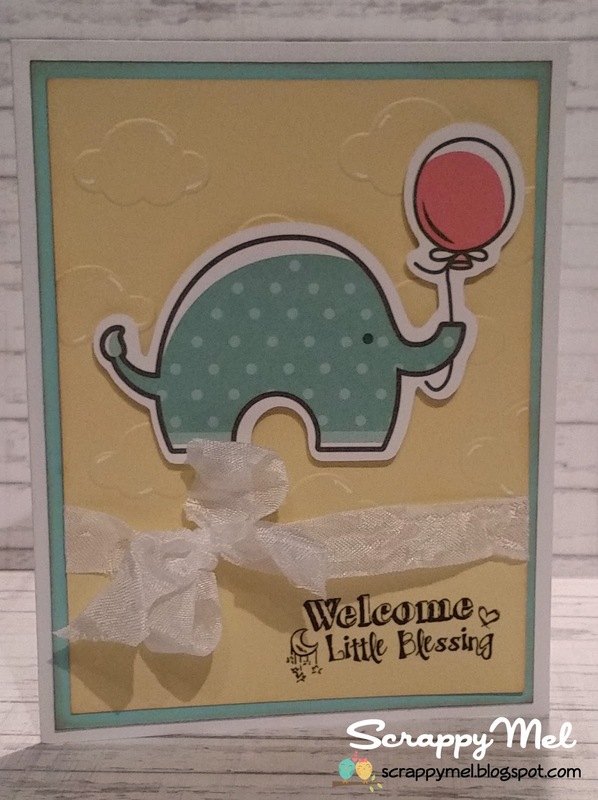 I used some of my favorite homemade acrylic dots and sentiments from Scrappy Moms Stamps For the Boys stamp set to finish my card.